Have you been dreaming of hitting the road one of these days? It seems like a lot of you have based on the number that have been coming into the shop looking for the Long Haul Trucker. 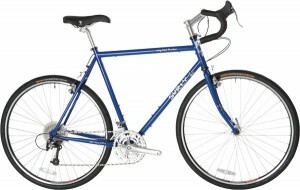 The “Trucker”, made by Surly bikes, has got to be the most popular touring bike ever. 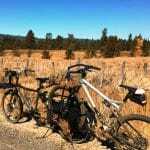 A recent visit by a couple of bike touring folk confirmed this when they told me that nearly every touring bike they saw on the road over their year+ long journey was a Long Haul Trucker. Secretly (or not), I think there’s another reason this is one of hottest bikes we sell. Not only is it great for touring (and who wouldn’t want to take off for the weekend, the week or maybe a year or two), it’s also an awesome all-around bike. If you can only have ONE bike – the LHT is your bike. It’s the next best thing to a cargo bike for errands and trips – add bags and baskets galore to house your groceries and hardware. Or tow a trailer for those really big trips. 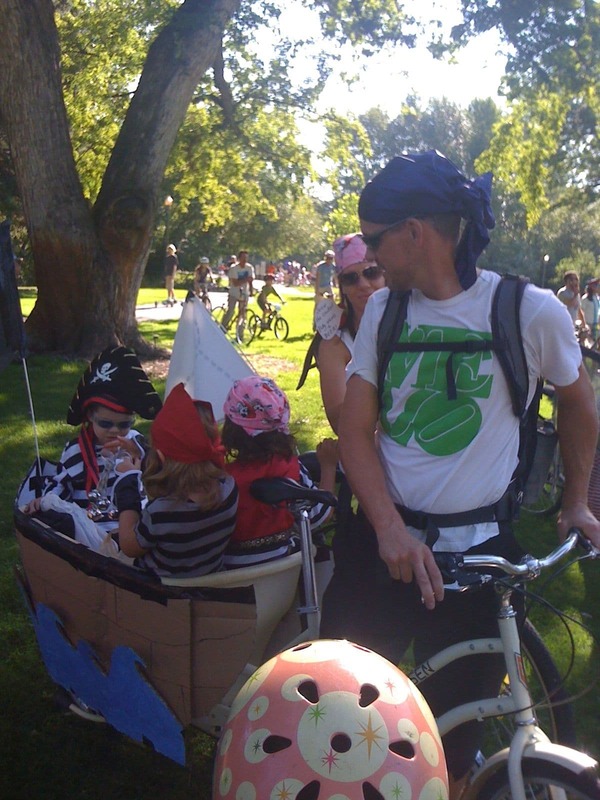 You can even convert it to an Xtracycle, with the Free-Rad Add-on kit to go ultimate cargo. Why Buy your Trucker from us? We’re not the only people around that sell Long Haul Truckers. But I bet we sell more of them locally than anyone else. Why? For one reason – We have bikes ON THE FLOOR, ready for you to try out. We regularly stock Truckers in 3 sizes and Cross Checks (another popular Surly bike) that you can come try out. No need to take a chance on something you haven’t tried. Two of our 6 employees happen to be bike touring afficianados – one (Tod) who has even crossed the continent several times on his bike. So not only do you get the bike, you get the help you need when fitting and outfitting the right bike. Just try to find that on the internet. We’ve also done a lot of Custom LHT builds for those who want their very own look. Want to add a Brooks saddle? We have them. Custom matching bar tape? 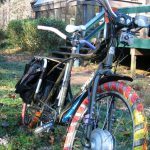 Awesome stylish racks or heavy duty touring racks? Done that. We’ve even done complete builds from the frame up, using custom components of your choosing or recommended by our expert staff. 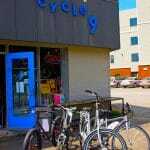 If you’re looking for a bike to get around town, or a bike to get you across the world, our friendly, helpful, and knowledgeable staff won’t be beat by the competition. 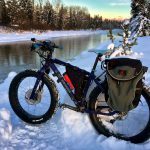 Looking for other Surly Bikes? 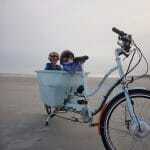 In addition to the Long Haul Trucker, we stock the Cross Check and Big Dummy (cargo bike). We can special order and build for you any other surly bikes, including the Instigator, Karate Monkey, Pacer, Steam-Roller and 1×1.